UML Component Diagram illustrate how components are wired together to larger components and software systems that shows the structure of arbitrarily complex systems. Components are wired together by using an assembly connector that defines that one component requires the services that another component provides. Connector that links the external contract of a component to the internal realization of that behavior by the component’s parts called a delegation connector. ConceptDraw has four examples that help you to start using software for drawing UML Component Diagrams. You can use the appropriate stencils of UML notation for drawing own UML Component Diagram. ConceptDraw Rapid UML solution delivers libraries contain pre-designed objects fit UML notation, and ready to draw professional UML Component Diagram. 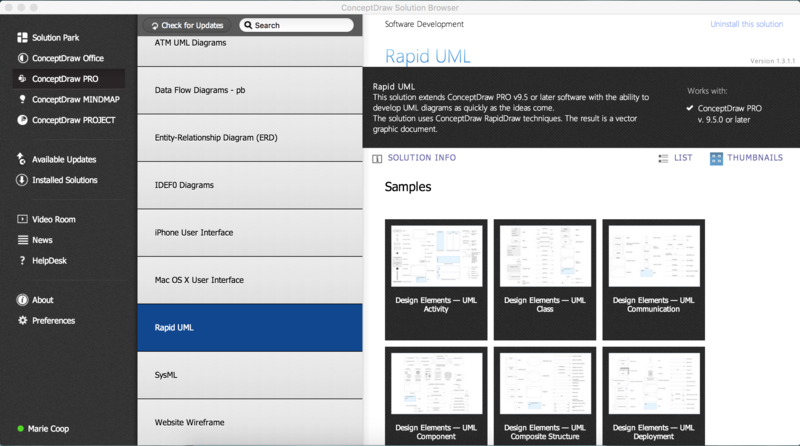 ConceptDraw Rapid UML solution provides UML Component Diagram library of vector stencils for drawing the component diagrams using component blocks and assembly connectors. 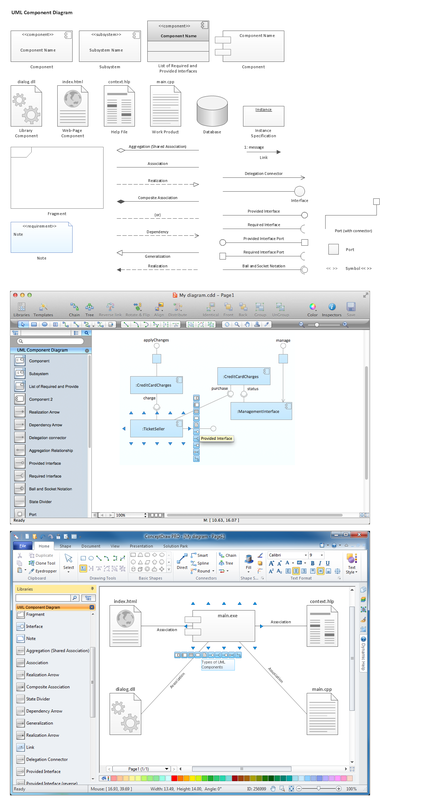 Use design element from the UML Component Diagram library to draw your own UML component diagrams of complex systems and software applications.